We will answer you within one day. If you wish to schedule a service. 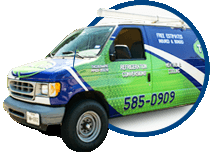 Call or request for estimate, feel free to call us at 915 - 585 - 0909 during our business hours of M - F 8:00 am - 6:00 pm and Saturday 8:30 am to 12:30 pm. Or, you can complete our online request form here. For immediate response, please CALL US at 915 - 585 - 0909. After hours and weekends, we have a dispatcher who will contact the on-call service technician.